In a way, The Funky Tropical is Montreal superyogini and resident asana soundtracker DJ Seriousblack's “origin story,” in which she blends the sounds of her diverse upbringing (e.g, Lee “Scratch” Perry, Thievery Corporation) with some of her many faves (incl. DJ Drez, Srialogy, Lulacruza) from the Black Swan Sounds catalog to create a summery megamix that, like summer itself, ends too soon. Please enjoy this free mixtape. As always, thanks for listening. If you like what you’re hearing, please spread the word and help support the art you want to see in the world. 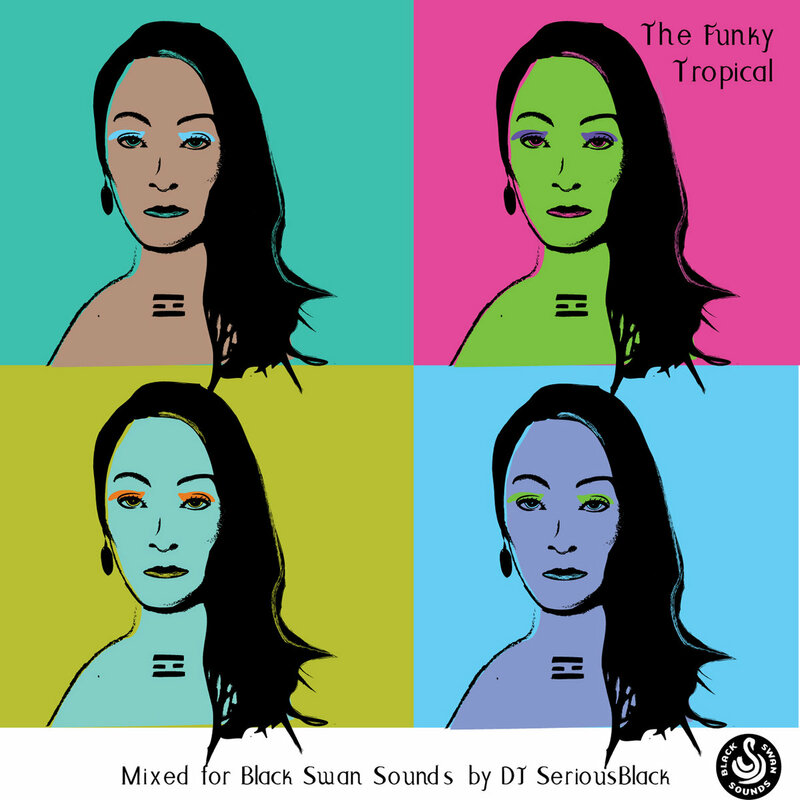 With The Funky Tropical, I’ve tried to create the soundscape of my roots -- my origin story. My parents are from Trinidad, a small island where everyone is a mix of something, from Indian to Black to Chinese to Spanish, to Middle Eastern etc. I grew up between Montreal, Toronto and New York, three of the largest and most cosmopolitan cities in North America. I inhaled the sounds of these melting pots, listening to soca, reggae and dancehall, rap and soul, funk, beats, chutney, electronica and whatever else I could fit into my Walkman. Inspired by sonic explorers such as DJ Andy Smith and my father, I found my own way to mix these far flung sounds into something that reflects my experience – not just of what I hear but what I see. Living my life among folks from everywhere, I’ve learned that when people come together, whether it’s in the street, on the mat, at the rink or in the groove, the result can be like I hope this mix sounds to you: explosive and beautiful. Thanks to Black Swan Sounds for letting me run, once again, through your vaults. And thanks to you, for listening.